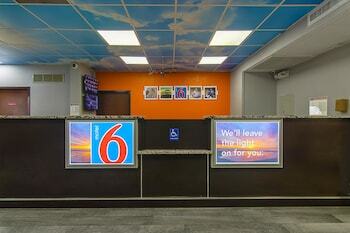 With a stay at Motel 6 Atlanta Airport - Virginia Ave in East Point, you'll be near the airport, within a 15-minute drive of Georgia State University and Georgia International Convention Center. Featured amenities include a business center, complimentary newspapers in the lobby, and dry cleaning/laundry services. Planning an event in East Point? This hotel has 2700 square feet (251 square meters) of space consisting of conference space and meeting rooms. A roundtrip airport shuttle is complimentary at scheduled times, and a train station pick-up service is also provided at no charge. Located in Doraville, Lodge Atlanta is in a rural location, within a 10-minute drive of Northlake Mall and Perimeter Mall. Free self parking is available onsite.